Recovery is mental, physical, emotional, and spiritual. Responding poorly to traditional treatments or have you plateaued? 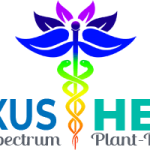 Bio-individualized plant-based protocols help you progress and heal. An "insignificant" symptom might be a clue to the patient's underlying disease. Our natural treatment plans are individually built according to the patient's genetics - "bio-individualized." Dr. Jodie A. Dashore leading global naturopathic practitioner in Biotoxin Illness, Autism Spectrum Disorder, and Lyme Disease. Firmly rooted in nature. confidently backed by science. BioNexus Health treats the whole person. We focus on empowering patients to create a condition of optimal health and balance, far beyond the absence of disease. We seek to prevent and treat imbalances by correcting and modifying the contributing causes on all levels – mental, physical, emotional and spiritual. Specializing in Autism Spectrum Disorders, Mold and Biotoxin Illness / CIRS, Lyme Disease and Tick-Borne Diseases, PANS/PANDAS, and Chronic Neurological Conditions. Integrative medicine combines the capability to integrate and understand mainstream medical therapies with complementary and alternative therapies that are supported by high-quality scientific evidence of safety and effectiveness. Dr. Jodie A. Dashore trained as a Doctor of OT (Neurology) with post doctoral in Advanced Neuro-Sensory Integration, Holistic Healthcare, Plant-Based Medicine, Clinical Herbalism, Energy Medicine and Integrative Pediatrics in the United States. Her past training includes conventional neurology, Ayurveda, yoga and spiritual modalities in India and the UK. BioNexus Health blends her traditional training with cutting-edge natural therapies. Treating, correcting, and modifying the underlying diseases corrects the imbalances in the body allowing the patient to heal and regain control of their health and life. An essential part of the integrative medicine approach is a partnership between patient and practitioner in the healing process, giving patients an active role in their treatment and care. Our comprehensive analysis and treatment options come from a variety of traditions and disciplines. Each protocol is individually selected to best meet the unique needs of each patient for optimal health. Dr. Jodie A. Dashore is a leading naturopathic practitioner utilizing individualized camel milk therapeutic protocols for autism and other conditions. Successfully using camel milk with patients since 2012. Helping Adults, Children, and Families. Click here for Skype Help. Click here for Zoom Help. We are based in the UK and we have worked with a number of great practitioners, each of whom have helped to make a difference to our son and the challenges that Autism / Lyme disease present him with. However, they have all tended to be specialists in a particular area and so they’ve quickly exhausted their options. The solution for our son is a complex one that needs to be pieced together in the right order. Dr Dashore is the first practitioner who we truly believe when she says our son is coming back to us. She has taken the time to really get a good picture/understanding of him. She asks plenty of probing questions and then she devises a protocol that gently starts to work on extracting all the bad stuff. She manages expectations also, letting you know that it will take time and also giving you strategies to implement when the inevitable set-backs kick in. She is enthusiastic and encouraging in her approach. It is a pleasure to be part of Dr. Dashore's staff. She is caring, attentive, and always puts her patients needs above all else. It has been wonderful working with Dr. Dashore. She is kind, compassionate and extremely knowledge. She has helped to give me my health back. For years, I could never figure out why my hair would not grow past a certain length. By my mid 20’s I noticed my hair falling out in clumps. I had been to several doctors- including dermatologists- who told me it was all normal, but I knew it wasn’t. I started to see Dr. Dashore in Sept 2017 who told me we will get your hair to grow back. It is now March of 2018- and my hair has stopped falling out at the drastic rate that it was. Dr. Dashore’s compassion and knowledge for each individual patient is truly a God given talent. In the worst of my days, she gave me the hope that I would be a normal girl living life in my 20’s- and she was right. Not only is she helping to correct co-infections/mold illness going on inside of my body- she know’s exactly what is needed for each patient she treats. She is truly inspiring having gone through much of what her patients have. She is an amazing doctor who has helped me feel much better. It is a long road, slow and steady, that will take a long time to heal all that I have going on- but within a 6 month timeframe she has helped me progress drastically! Dr. Dashore has given me hope after being ill for 28 years. I have had fibromyalgia, chronic fatigue, lyme disease, severe digestive issues, and many other issues. I had to take an early retirement in 2006 because I was physically and mentally exhausted and no one could tell me why. Thank goodness I have decent health coverage, but the health insurance company has paid thousands and thousands of dollars to traditional medical care, and I have spent thousands of dollars out my pocket to various other modalities. Dr. Dashore ordered tests based on my symptoms and interpreted them to address my treatment--where other medical professions probably would know what the results meant. She is a very kind, caring and knowledgeable lady! I can't say enough about this extraordinary doctor! She gave my daughter her life back. She went from almost bedridden to a successful college student 900 miles away. Dr. Dashore is very caring and compassionate, treatments are very gentle as not to overwhelm an already stressed body. Another bonus is that she is always learning new material to help her patients. I highly recommend her! We found Dr. Dashore after a 16 year search. Our son, now 18.9 years old, was diagnosed with PDD-NOS at age 2.9. Ever since his diagnosis, we tried hundreds of treatments and traveled extensively in an attempt to recover him - with very little success. We live in Jerusalem, Israel. We heard Dr. Dashore on an interview and knew right away that she could help us. We finally found someone with the broad background of experience and training necessary to help our son. Thanks to Dr. Dashore’s extensive testing and diagnostic skills, we discovered that our son has Lyme and biotoxin illness, conditions that were missed by every other practitioner. With a clear diagnosis, we started treatment a few months ago and are already seeing positive results. And the fact that she is accomplishing this with only natural herbal and homeopathic remedies is all the more amazing to us. We decided to go further and treat our whole family for various health concerns. For years I was suffering from UTI and other issues which have resolved after a few short weeks of treatment! We heartily recommend Dr. Dashore. We feel a deep, personal connection with her, despite our geographical distance; such a rarity and so different than our previous encounters with other practitioners. She is truly a unique soul who heals on so many different levels -- we are so grateful to have found her! I am thankful to GOD that I was able to see Dr. Dashore for my son before it was too late. My son had tick bites and while using antibiotics and seeing a gastro in new york, he was all messed up, not gaining weight, having stomach cramps, shifting pains and the docs were doing the trial and error methods of steriods or antibiotics etc. etc. He was also diagnosed autistic. My friend recommended me to Dr. Dashore 2 years ago and I talked to her on phone and her breadth of knowledge for chronic infections was amazing. I call her "walking encyclopedia". She treated Nishant and understood him as she had also cured her own son, who I met as well. She analysed mold and other biotoxins, helped in balancing the antibiotics, herbals and i started seeing recovery and ray of hope. After 2 years under her care, Nishant is doing awesome. His pains have subsided, his gut is a lot better. Her diet advice were great and it all made sense. Very practical and realistic. I am sure that my son will be fine and I hope that she continues to see him until he is perfect which i am hoping next 3 years. I am so grateful for Dr. Dashore & BioNexus Health. She has identified underlying issues that are contributing to the long term chronic illness I am currently experiencing. In 2017, I was fortunate enough to meet Dr. Dashore at a multi-day retreat she facilitated in North Carolina. Since then I have attended two more retreats she facilitated at the same location, for a total of three. She is an incredible Doctor, yet more importantly, an amazing person & woman. I can't thank her enough for her kindness, compassion, medical knowledge & then some! I am deeply grateful to have been referred to Dr. Dashore. After many years of being treated for Lyme disease with antibiotics and remaining sick, I met Dr. Dashore and she suspected mold exposure and coinfections. My tests confirmed both, as well as many viruses. She is a brilliant doctor, very compassionate and reassuring. She is extremely knowledgeable and confident on how to treat these numerous infections. She is an amazing, intuitive and kind healer and I feel so fortunate that I'm on the right path to regaining my health. I am very fortunate that my family found Dr. Dashore. After many frustrating and disappointing doctor appointments that never accomplished anything or addressed my needs, I decided to give Dr. Dashore a visit. She is an intelligent, empathic, and experienced doctor who is extremely knowledgeable on Lyme disease treatment and co-infections. I was relieved to find a doctor who understood what I was going through and confident in treating me. I highly recommend Dr. Dashore! What makes Jodie Dashore so incredible is not only her vast knowledge and first hand experience, but her beautiful spirit and amazing ability to empathize with her patients, even when they cannot articulate how they feel. After only six months of treatment, I feel better than I have in years. I have a long way to go but I know that I am in the best care possible. After an appointment, I am always left feeling hopeful and optimistic. Dr. Dashore healed my two teens struggling with undiagnosed TBD and other health issues. She got to the cause of the problems undermining their health, going way beyond usual health care practitioners approach of treating symptoms. My children were extremely ill and now they both have resumed their normal daily activities and their lives. I will always be very grateful for her keen insight and ability to unravel my children's complicated health issues and restore their health. She gave them back their health and their lives. Such an extraordinary doctor. Dr. Dashore has been an extraordinary doctor for me. When I started seeing her I was pretty sick but did not realize just how much. I thought I was just getting older. She listens, and her relaxed and easy manner helped me to believe her that I could actually recover the health I'd had a few years earlier, before I'd caught Lyme disease. I am amazed at the variety of tools she's used to help my recovery, and she takes the time to explain in clear language the things I want to understand. I am already feeling much better, and Her approach has worked slowly and steadily, just as she said it would. A visit to her office is usually the highlight of my day. My 13 yr old daughter was sick most of her life, with a history of known tick bites. Many trips to the pediatrician, and testing for Lyme, all yielding negative results. She became quite ill, and a mother's instinct lead us to Dr. Dashore. After 8 months of treatment I have my daughter back. She had been unable to attend school, play softball, or socialize with her friends. Now she is thriving. She was a sickly child, that had trouble getting over a common cold. Now, her immune response is so much healthier, that the common cold is no longer an issue for her. She will be returning to school in the fall, and has plans to play softball as well. Our family is forever grateful to Dr. Dashore for her kindness, empathy, and expert knowledge in the area of Lyme disease, co-infections, and biotoxin illness. Doctor Dashore listens to the patient and individualizes the treatment for each patient. I highly recommend Doctor Dashore for anyone struggling with Lyme or any Illness that is not improving on current protocols. No matter what you might be struggling with, I feel Doctor Dashore has the knowledge and experience to get you on the path to healing. Dr. Dashore has helped my autistic 20 year old son immensely with Lyme and the many other autoimmune issues he has. His behavior is much improved and sense of well being is apparent. I cannot say enough praise of Dr. Dashore and her methods. I have recommended other families to her! Doctor Dashore goes above and beyond your average practitioner. Most doctors would gladly write you a script and have you on your way in merely 20 minutes, while Dr. Dashore will examine you thoroughly and listen at length to your medical grievances. Consequently, she is then able to make you a customized protocol which will aid in your physical, mental, and spiritual healing. No words can express the gratitude I have for this amazing doctor! Jodie has given us our son back after years of being lost in Lyme. Jodie has a great balance between intuitive knowing and educated mastery. Thank you Jodie! As a doctor, I am keenly aware of the responsibility and amount of knowledge it takes to be as amazing at what you do as you are. We are so glad we found you. Two years into antibiotic treatment for Lyme disease and related co-infections, i began to reach a dead end. I had been dabbling in herbal medicine and began to understand the need for an integrated treatment plan. I ended up in Dr Dashore's capable hands. Within two months i began to wean off antibiotics and her prescribed protocol began to produce notable results. In the months that followed i have seen solid and consistent improvement. Each time i began to encounter hurdles in my recovery, Dr Dashore has not only introduced sound and effective treatment solutions, she has patiently helped me to understand the basis for her methodology. Her knowledge and implementation is vast, and her ability to access a comprehensive profile for each patient is beyond remarkable. Am Ram from India. Dr.Jodie Dashore is a fantastic in diagnosing the problem of my kid at first shot by seeing him for 5-10 minutes through skype and given me some labs to be done. The results came as Lyme positive, which no doctors in India had found out, in fact they are not aware about Lyme induced autism. She explains the parents, what is happening in the system and how we can bring the kid back, which will bring smile on every parents for sure.There after, she prescribed medicines and my kid is rightly into it. I can see the positive differences after the medicines. She spends time and understands the problem and more importantly the solutions are working, that's what every parents having special kids wants. I will prefer her to all of my friends. Jodie is the light house for all the special childrens and am sure that, she will shine as a star. I was diagnosed with chronic lyme,babesia and mold after 12 years of serious health issues. I tried antibiotics for a year and they helped but I felt that they were destroying my stomach so I decided I needed a different approach. Two of my former high school classmates told me they were in remission and shared Dr. Dashore's name with me. I have been a patient of Dr. Dashore for a little under 2 years. She has helped me tremendously. She is very intuitive, knowledgeable, and caring. She has worked with my son as well. I could barely walk across a room when I first started seeing Dr. Dashore. Last week I rode a bike for the first time in a very long time. I travel all the way from Georgia to see her, that how good she is. I am glad to find her after seeing so many other docs and spending quite some amount. I am glad to feel better back to work and am a patient of her for sometime. I fly from chicago to see her once in a quarter and skype other times. It has been very helpful for me since last year as I recovered after the mold and lyme treatment. She expects me to do my homework which was good as I learnt more and was happy that she was able to logically explain the parasites, bacteria, gut healing, cleansing, detox are co-related. She created custom tincture combination for me which was very helpful. Compared to others, i feel she is a lot more affordable for the advice and treatment. I think she has lesser overheads and doesn't really need to work, so , sees only a few patients compared to others who want to make quick and don't really have time to listen. i like that she schedules only one patient at a time so my slot is not overlapped with someone. Either way, the key is the service, and the problem definition and resolution aspects, which she brainstorms and is very well aware of traditional medicine and alternative medicine. i like that she balances the traditional and alternative and doesn't force her advice on me but explains logically. So far so good and I really hope that she does not become too commercial and sees too many patients. she has a waitlist which is growing and so far i don't have issues for my schedule. The rest of the details of her treatment, i think others have posted as well. I'm Daniel's mom and have seen a positive change in his health the last several months with Dr. Dashore's protocol. After testing positive for several infections, and following Dr. Dashore's protocol, now at age 11, Daniel finally has the sustained energy a child should have. Since he was a toddler, he'd have to regroup throughout the day, resting on the sofa for long periods, dragging himself up to do even simple tasks, often avoiding playing with his neighborhood friends, only ever able to enjoy one out-of-the-house activity a day, etc. Thanks to Dr. Dashore's insight, for the first time ever, Daniel can pop up and help me anytime I ask, he always plays with the other kids outside, and is ready to take on the challenge of the next opportunity of the day. All of this without any allopathic medication - only selective support for his various health issues from Dr. Dashore. No more lethargy after an activity, and never bouncing off the walls...just a nicely sustained enjoyment of each and every day. We started with Dr. Dashore a few months ago, dealing with multiple chronic diseases including lyme, autism, and mold illness. Not only is Dr. Dashore the most knowledgeable doctor I've ever met (we've been to many), she is compassionate and easy to collaborate with. She fully answers all your questions and takes care to understand your individual needs. I know that we will continue to make great progress under her care. I cannot recommend her enough. I have been seeing Dr Dashore for only a few months based on headaches and joint pains that I had for years. Within only a short period of time, I have found significant improvement and relief from pain and overall increased wellbeing. I appreciate her natural and holistic approach to treatment. I have been working with Dr. Dashore for almost a year and a half now. Having the privilege to be around someone so passionate, professional, smart, and hard-working is inspiring. She is usually running around, but continuously gives everything on her schedule (being a doctor, being a mom, being a friend, being herself,...) her 100% and it shows. Jodie squeezes her schedule tight for her patients, family, friends, etc. Her positive energy, bright smile, and sweet humor is contagious and has picked me up on days where I have felt low. It is honestly quite difficult to feel ungrateful and feel the tremors of life when you're around Jodie. I am very grateful to have been able to meet and work with Dr. Jodie Dashore. I am so grateful to have discovered Dr. Dashore. My daughter was diagnosed with PANS a few years ago and most recently mold. Doctor after doctor told me mold was no big deal and that it was not contributing to her symptoms. Dr. Dashore was the only doctor who understood the health effects of mold and how, in our case, it related to PANS. Dr.Dashore is brilliant. And she is caring. She sees the whole picture and treats accordingly using a more holistic approach. Healing my daughter is no easy task, but we are making great strides and I am so thankful. Dr. Jodie Dashore has been extremely instrumental in assisting with unraveling and ascertaining my son's multi-level condition of "non wellness"! She makes herself readily available and is always seeking out the most progressive and alternative treatment, specific for each individual. Dr. Dashore has a rare combination of brilliance and compassion, having walked similar paths with her own health and that of her young son. Her accolades are nothing but astonishing. Thank God for Doctor's, Mother's and Health Warrior's like Dr. Jodie Dashore. I started seeing Doctor Dashore in February of this year, since then many of the symptoms of Lyme are gone. She listens to every word you say. I am so grateful to have found her. I have a new desire for life since starting treatment with her..
My entire family is working with Dr. Dashore. We were exposed to mold, and my daughter was diagnosed with lyme by a mainstream Doctor, however, Dr. Dashore has discovered so many underlying health issues that link to our primary concerns. We have been seeing her for about 8 months now and our progress has been amazing. She honors and respects our choices for a natural protocol as she knows it very well. She can discuss mainstream meds and antibiotics as needed and respects them as we do. But she has the same view of the human body as we do. It is a well oiled god given machine that has the power to heal when well taken care of. We all look forward to a clean bill of health once this protocol is over and look forward to working with Dr. Dashore as a preventative measure to keep underlying hidden issues always known and treated naturally. I have been seeing Dr. Dashore for a year now. Her knowledge in not only Lyme Disease but Mold and Biotoxin Illness were key to solving the mystery of why I wasn’t healing from Lyme. After listening to my story of battling chronic Lyme for 5 years, she ordered tests that identified mold issues that were making it impossible for me to heal. If only I met her years ago! But my journey thankfully led me to her to truly begin the path to recovery. Her treatment approach was unlike any other I had experienced over the years. She took the time to get a broad understanding of my medical history in order to come up with a specific treatment protocol individualized to my case. She has given me so much hope and positive energy on the path to healing. I can say that even though I still have a ways to go I am feeling the best I’ve felt in years. I always feel better after our consultations knowing she has a course mapped for my healing journey. I am grateful for having been referred to her every day. Thank you for caring so much, restoring hope and lifting the spirits of those battling these invasive diseases. I have been a patient of Dr. Dashore for 3 years. My story, not unlike others starts with a tick bite in 2007. Barely able to function, I traveled across the country meeting with countless practitioners but could never reach the level of wellness I dreamed of. I was so ill for so long, I forgot what it felt like to be well. I feel blessed to have found Dr. Dashore. She uses a systematic, individualized approach that WORKS!! Together we worked on the Lyme Disease, co-infections, supporting my organs, addressing adrenal, thyroid, hormone and spiritual issues. Currently I am finishing up the MOLD protocol. I still meet with Dr. Dashore every 5-8 weeks but I am happy to report I feel GREAT! She has literally saved my life. I will be forever grateful! Dr. Dashore is such a sweet, sweet person....and a VERY smart doctor! Her empathy towards her patients is unprecedented in today's health care system. She has TWICE offered scholarships so that our family of low financial means could afford to attend some training she knew to be beneficial to us. And we're not the only ones she has helped. Two other close friends have also benefited from her generosity. She knows her stuff! After several decades of worsening health, dozens of allopathic doctors unable to help and, in recent years, several integrative MDs/DOs trying so hard to help me with supercharged or even just regular protocols that they actually left me bedridden for days and weeks at a time and eventually months and months, I was finally losing hope of ever finding a way back to even partial good health. Within minutes of meeting with Dr Dashore, she knew with such complexities and fragility, we needed to start with literal baby doses of very different treatment options than any other doctor had suggested and slowly work our way up. She was able to pinpoint other serious illnesses no other doctor had ever even mentioned, much less knew how to test. Her treatments have not caused a single long-term "crash," which has been unheard for me in years, and she listens very, very carefully to everything I've said to help avoid even minor crashes. Dr Dashore was honest from the beginning that this would take a long time considering all of the lifelong infections and significant long-term exposure to several types of toxins beginning in early childhood. She was right. I have a very long way to go, but she has seemingly innumerable treatment options from her own experiences, as well as the amazing amounts of information from her many highly esteemed mentors. Dr Dashore is a truly brilliant medical mind and is not only absolutely professional, but has a warm and caring bedside manner. Dr. Dashore has been able to dive deeper into my neurological condition than any doctor I've seen—and I've seen lots. Where other doctors look to quickly diagnose and prescribe, Dr. Dashore uncovers the root of the problem and starts the healing process through a combination of natural remedies and traditional pharma. I'm lucky to have her on my team. Dr. Dashore is one of a kind. She has been treating my son and I for 6 months and we are already reaping the benefits. We realize we still have quite a journey ahead but I am thrilled with the results. I continue to hold to my faith in the Almighty that we will make a full recovery. Thanks to Dr. Dashore's unique and taylored approach it makes it easier to take a deep breath and know that you have someone that is smart, caring and compassionate on your side. A lot of gratitude for Dr Dashore and all the help she's provided me with so far! Those of us with chronic pain and chronic illness often feel dismissed and misunderstood by physicians who rush through appointments, barely taking time to make eye contact or listen to our concerns. Dr. Dashore listens -- really listens -- and treats every patient as a unique individual who deserves personal attention and support. She is an immensely smart, intuitive, and compassionate healer, who truly empathizes with the people she is treating. I don’t consider myself lucky to have contracted Lyme disease during a walk on the Appalachian Trail, but I do consider myself extremely lucky to live within a couple of miles of Dr. Dashore. I know many Lyme patients aren’t so lucky and travel hundreds of miles to get this excellent medical attention I am able to get, practically in my backyard. I feel like Dr. Dashore is a partner on my healing journey, not somebody who talks down to me, or dismisses my fears or doubts. And I am forever grateful to have her in my life. We love Dr Dashore! Brilliant ..professional ...wonderful bedside manor...exceptional communication and thorough instruction. We are so impressed by the care she has given my mother over the past year. I have recommended Dr Dashore to friends and family with wholeheartedly. I have been to many doctors that had told me there is nothing wrong with me. Dr. Dashore was able to identify what exactly it was that I was battling and was able to prescribe healthy habits and natural herbal supplements to help me to start feeling better. I found Dr. Dashore after years of trying to help my daughter with extreme anxiety and depression. Once she tested with a positive Lyme result, I searched for a pediatric LLMD. I learned of Dr. Dashore, and I started listening to every presentation of hers I could find on the internet. I felt she was just the kind of doctor we needed. I brought my daughter to her, and she intuitively knew what labs needed to be run. We soon learned that she has been affected by mold and has multiple co-infections due to her immune system being compromised. My husband has had chronic lyme for 10 years and none of the doctors he's seen ever suggested mold could be an issue. After testing our house, we learned we had high levels! All five of us have mold susceptible genes. No wonder my husband couldn't find wellness, and no wonder our poor daughter has struggled most of her life. After learning so much from Dr. Dashore, I realized I too have medical issues that need to be addressed, as well as my other children. Dr. Dashore is now treating my entire family and we are seeing positive results. I am happy to be using herbals and homeopathics because traditional pharmaceuticals have helped us very little in the past. This is a tough journey and we know it will take awhile to fully regain our health, but I am so thankful that Dr. Dashore is guiding us. She is understanding and compassionate and is willing to work with us to find the right treatment protocol for each of us individually. She knows we are on a very tight budget, and I really appreciate the way she gives lower cost suggestions when possible. I know her motivation to do what she does is because she wants to help others. My experience with her is so refreshing and positive after years of seeing doctors who did not necessarily have our best interest at heart. Dr. Dashore is a passionate, knowledgeable and extremely caring practitioner who I have been a patient of for one year. She not only diagnosed my multi-faceted issues (mold exposure, Lyme, heavy metal toxicity, multiple chemical sensitivity, MARCoNS) and co-infections but through her guidance has brought significant positive results. For over 10 years I struggled to get answers to my unusual symptoms from medical doctors. Dr. Dashore ordered and analyzed my labs, developed a comprehensive protocol and has given me a path back to wellness. I could not praise her enough and she is also the health care professional of my two adult children. A wonderful doctor and friend that I highly recommend! I have been seeing Dr. Dashore for almost 3 years now. I went to Dr. Dashore because my conventional doctor could not figured out what was going on with me. It turned out I have lyme and con-fections. She is like no other doctor I have every seen, besides being a regular doctor she is also a very spiritual person, which to me is very important and it means a lot because I know that what she does is coming from her heart and is also what she loves to do is to help people. She takes her time to listen to you, talks and explains causes and effects of what is going on with you. She treats you with optimism, respect and takes an authentic concern on how you are feeling and what she can do to make you bounce back to health. She always makes you feel relieved and less concerned about your health. Her willingness to help you goes beyond the time that she spends with you in her office. She investigates, research and reassures you that "we can fix this". No matter how sick I am when I enter her office I always leave there feeling that I will be taken cared of, that I am not alone and that I will be helped. She is an exceptionally bright, humble and gentle doctor that gets a full picture of your symptoms and will treat you not only medically but with her heart. I'm pretty sure she includes her patients in her prayers at night - And I know I'm one of the lucky ones in those prayers and one of the lucky ones that have found such an amazing doctor and friend. Dr. Jodie A. Dashore understands seven languages and has treated patients in over 40 countries in person, and virtually via skype/zoom. Collaborating with your local physicians worldwide, Dr. Jodie A. Dashore brings world-class natural medicine to your doorstep. Human Check: What is 2 + 2?